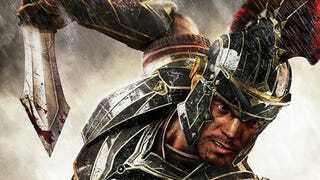 My first honest reaction to Crytek’s announcement that Ryse was coming to PC was that it must be a quick way to generate some revenue after all its recent troubles. That’s not the case, according to senior producer Brian Chambers. But the idea that this might be a quickly ported cash-grab is something Chambers understands given the recent funding issues that saw Crytek’s UK and US developers go unpaid and ended in the closure of Crytek UK, huge restructuring of its Austin Studio (effectively closing it too) and the sale of the Homefront 2 IP to Deep Silver. “We were aware what was going on,” says Chambers of the troubles, although being based in the company’s Frankfurt office he was unaffected. “We knew we were going through a period where we were making choices to transition to self-publishing and games as a service. We were well aware that the transition was going to be felt a little bit. The communication was there and we were aware of the situation.” It’s a different message to what’s been said by Crytek UK employees who allegedly cited a lack of communication on numerous occasions. “It’s hard for me to speak directly on that not being in the studio,” he replies.